What do I do if my neighbour has a pest problem? Good neighbours can make all the difference when it comes to a happy home – but what if your neighbours are pests? Yes we mean real pests –what if sitting on the other side of the garden fence is a colony of rats, a wasp’s nest or an out of control insect infestation? Obviously if the concern is in your own home dealing with a pest problem is far more straightforward and can be dealt with on your terms. The best choice in the event of a serious infestation is to call in pest control experts, however, if the problem is at your neighbour’s home that is not something you can force them to do. So where does that leave you? Hopefully your neighbour will also not want to share their home with pests so it is best to raise the issue with them politely. Let them know that you have spotted rats in their garden, or are concerned there could be a wasp’s nest. In the case of rats it could be that a lone rat has been spotted in the garden looking for food. However, if multiple rats have been spotted there is a good chance they are making their home in the garden. There is every chance that if your neighbour is aware of the problem they have already taken advice, if they were not aware, hopefully once the issue is flagged up they will call in pest control experts. However, some neighbours can be awkward about domestic issues. 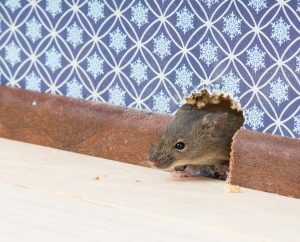 If you meet with resistance and are absolutely sure your neighbour has a rat problem that is not being dealt with you need to contact your local authority, which should send an environmental health officer to inspect. This also applies to wasps nests, although this may need to be in a position where it is considered a danger to people. In the case of rats coming into your home when you believe the source of the infestation to be a neighbour, this also needs to be dealt with by the home owner as regardless of what measures you take, if you fail to tackle the source of the pest problem it will persist. If you have any concerns about a pest problem contact Pest Busters today.